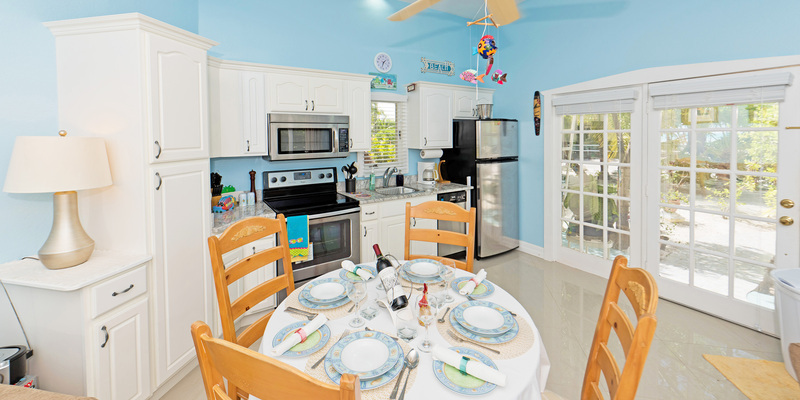 Welcome to Rum Sands, a charming one-bedroom, one-bath cottage located on a quiet cove in Cayman Kai. 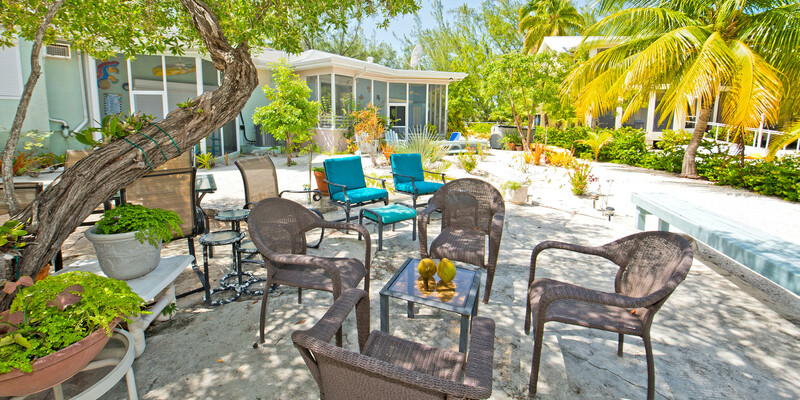 Recent upgrades to the cottage create an authentic 100% Caymanian escape. 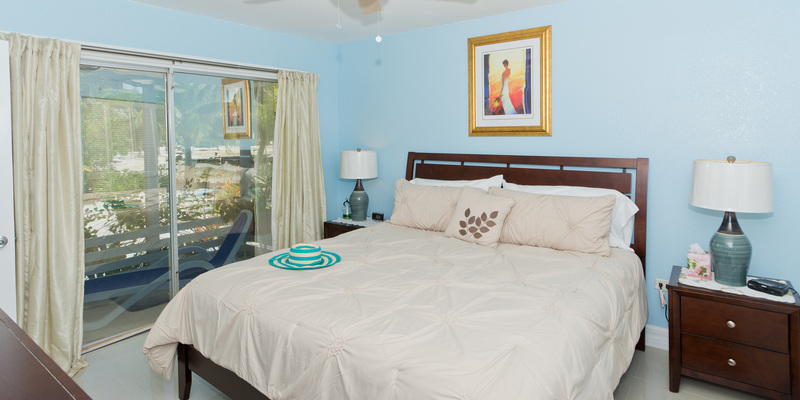 Stainless steel appliances, coastal-chic décor, Caribbean cross-breezes, ample sunshine and a luxurious king-sized bed await you. Located just across the street is Rum Point where you can find water sports, sunbathing, restaurants, bars, gift shops and the new Cayman Ferry to Camana Bay. 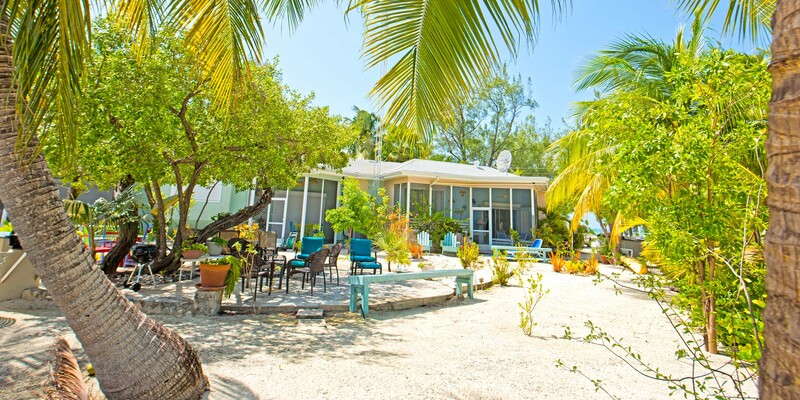 At Rum Point, you can snorkel the crystal-clear shallows, enjoy surf & turf on the beach, sip freshly stirred cocktails (rum-based, of course! ), charter a sailboat excursion, and more. 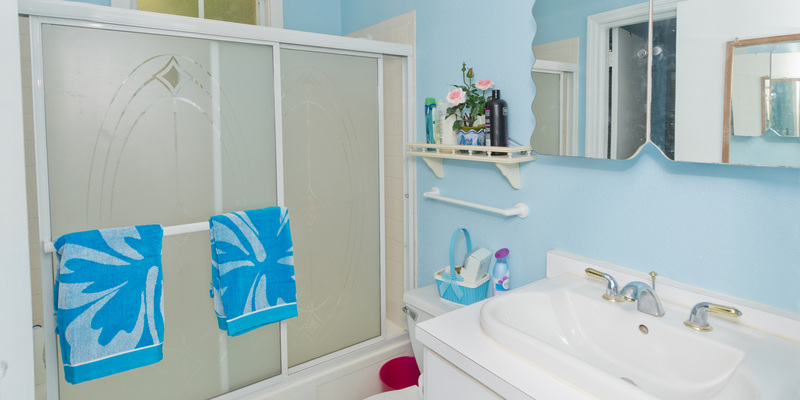 Then, return to your cozy cottage to relax in well-appointed style. 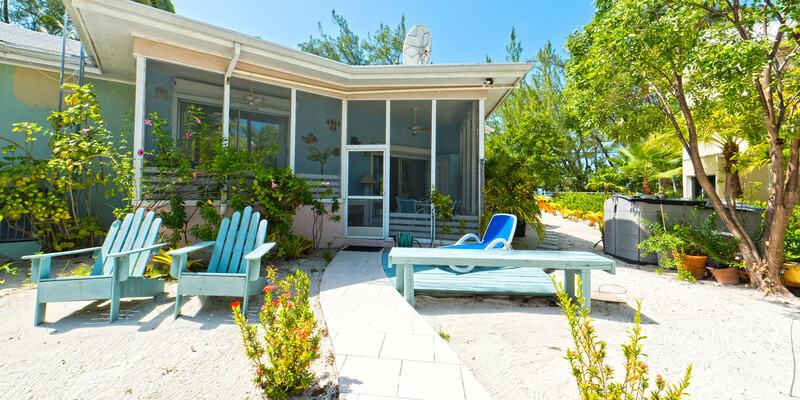 Rum Sands is part of an intimate 3-cottage complex on Sand Point Cove, and its coastal-chic interior makes it stand out. 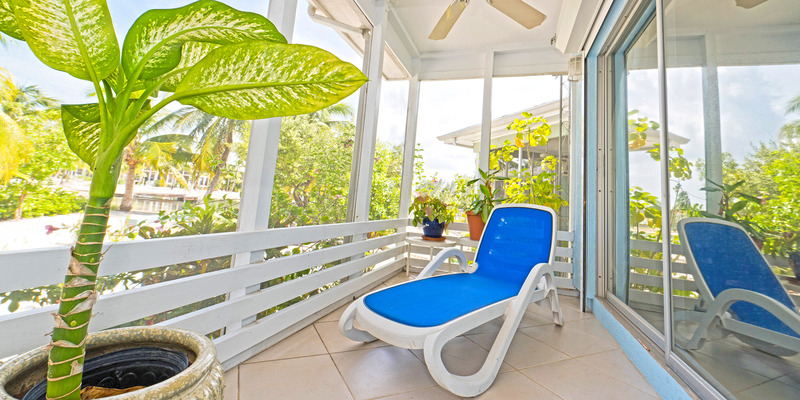 A screened lanai overlooks the sandy cove and its lush tropical landscaping, with a twirling ceiling fan to stir the cool breeze. 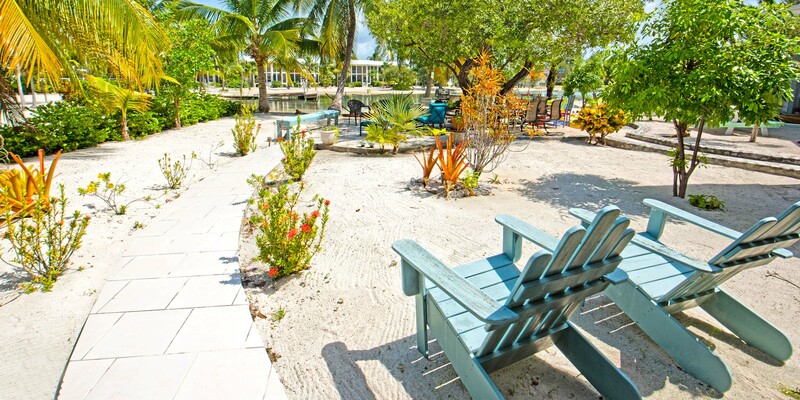 Two Adirondack chairs just outside the lanai encourage you to take a seat to watch the sunrise over the cove. 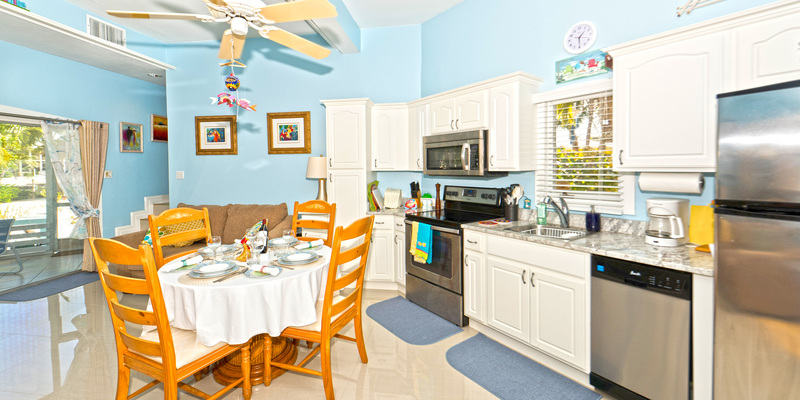 Cooking in is easy at Rum Sands. Pick up groceries at the nearby store (just a short drive away) and make good use of the stocked kitchen. Cooking in paradise is a romantic experience not to be missed! The entire island is only 22 miles wide from west to east, so you are never too far from anywhere on Grand Cayman. 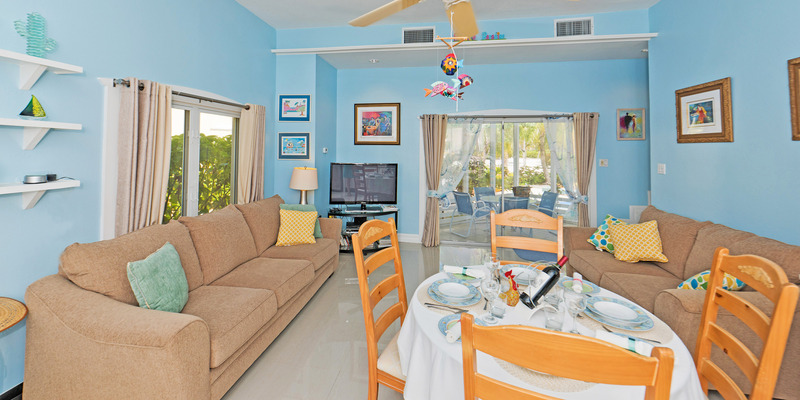 The cove-front homes in Cayman Kai offer serene water for docking a rental boat, permitting charter captain pick-up, or just safe shallow water swimming for little children. Adults won’t swim in the cove—Rum Point is too nice by comparison—the water is shallow and has a softer bottom and there is no reef here for fish life...but we do see the occasional turtle, eagle ray or tarpon swim by in the shallows! The beaches are flat white barefoot sand. There is usually little breeze here to speak of. 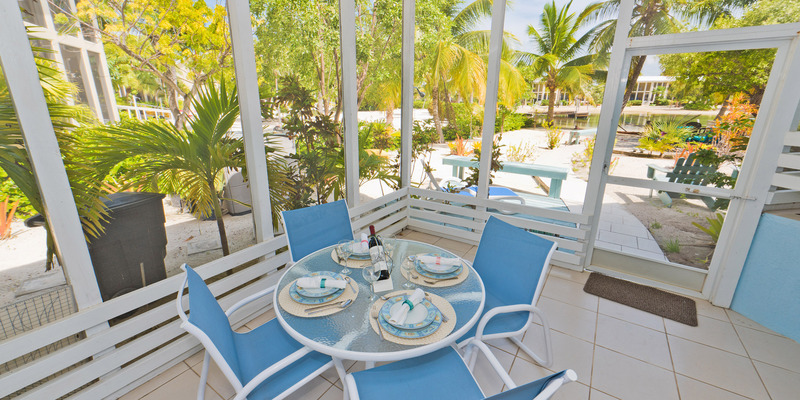 Many homes in Cayman Kai offer a screened porch. The big draw to this area is the proximity to the Rum Point Club, a public beach club that offers a fantastic barefoot beach, many water sports, a restaurant bar and grill, a gift shop and pick-up beach volleyball games. 7 nights minimum required over Thanksgiving, Christmas, and New Year's week.